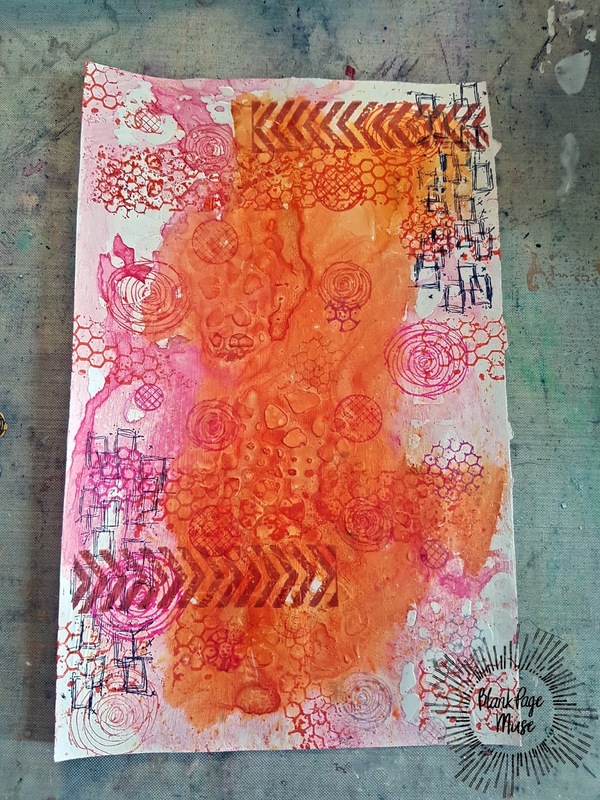 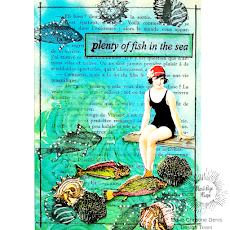 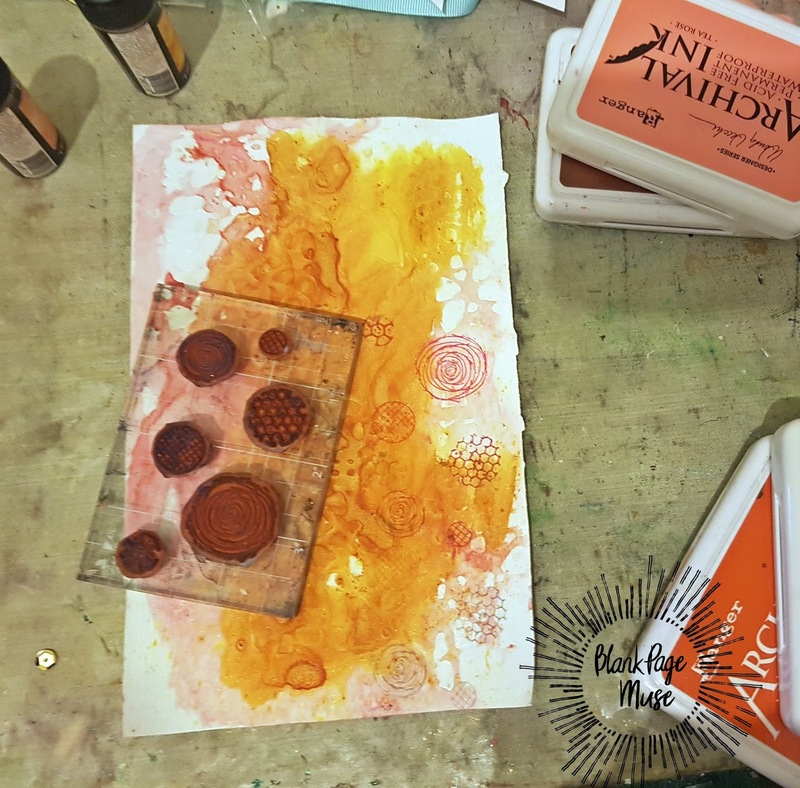 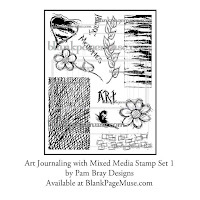 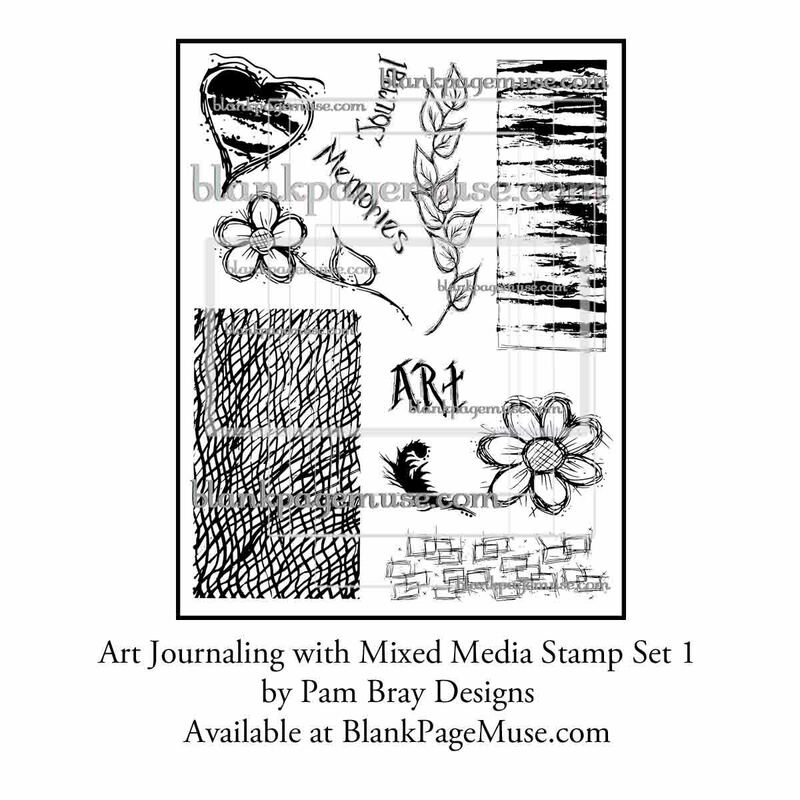 Learn how I created this mixed media art journal page using The Blank Page Muse stamps. 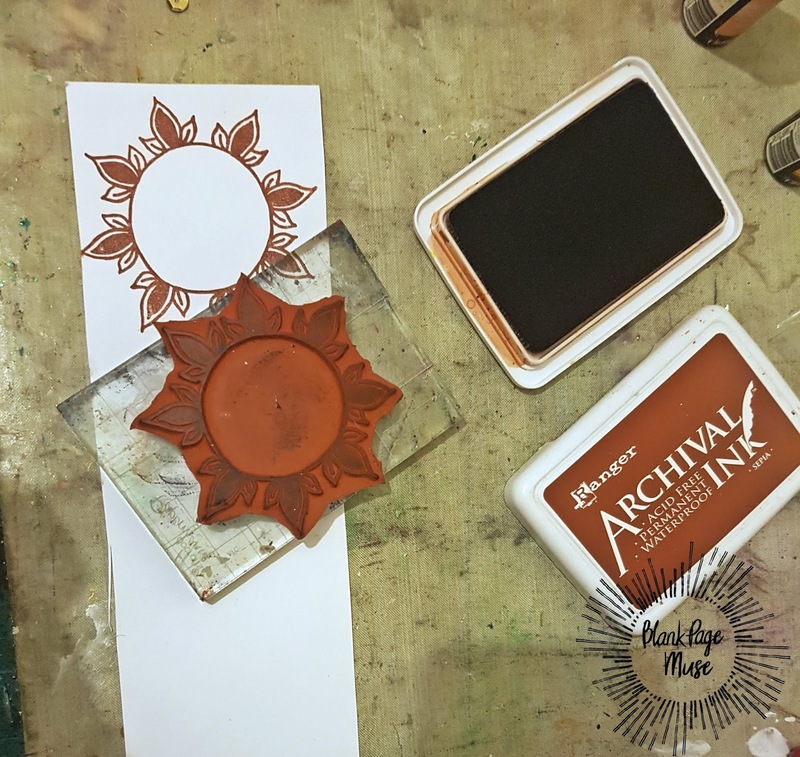 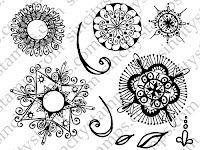 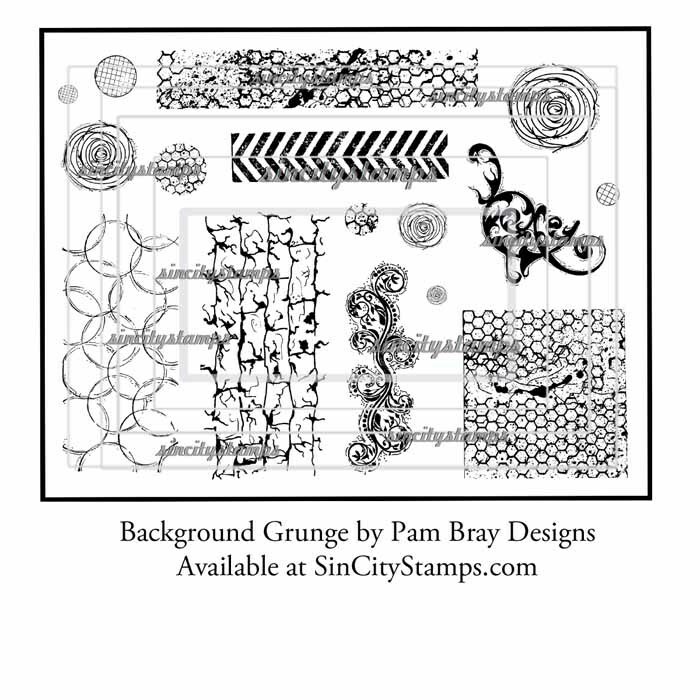 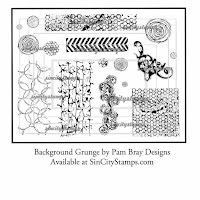 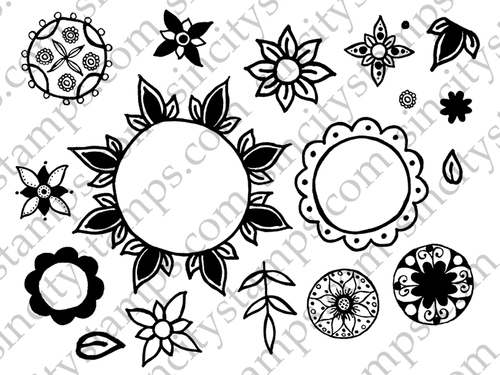 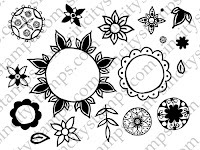 Spray ink onto your page then stamp grunge circles using different colored inks. 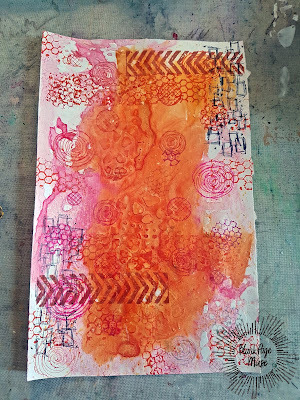 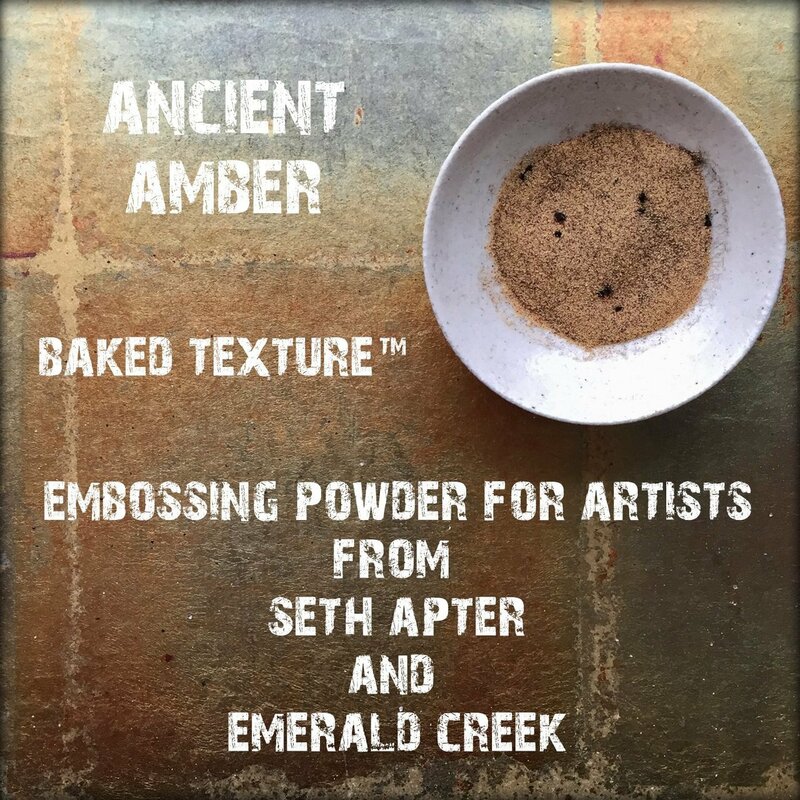 Spray more color, then use the texture stamps around the edges of the page. Stamp out the large flowers and use gel medium in the centers to hold the embossing powder while you heat it.